When I shop for wood I never know what I’ll come home with. Usually I plan on getting something specific but often I find that what I want isn’t available. Sometimes I’m lucky and come home with something unexpected and wonderful. That is how I came to acquire this Curly Sapele or Mahogany. I’m not quite sure which it is but I find them to be interchangeable in workability and tone. And here’s and interesting piece of somewhat Curly Walnut. It will yield some fine quartered billets. I am happy it was not steamed as so much Walnut is these days. I don’t mind the sapwood and I like the natural colors. 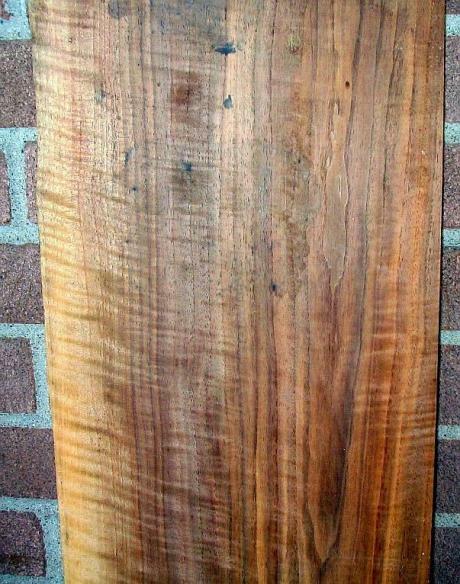 Steaming evens the tone of the sapwood and heartwood but it takes away a lot of the more subtle colors. The photograph doesn’t show some of the more subtle hues. 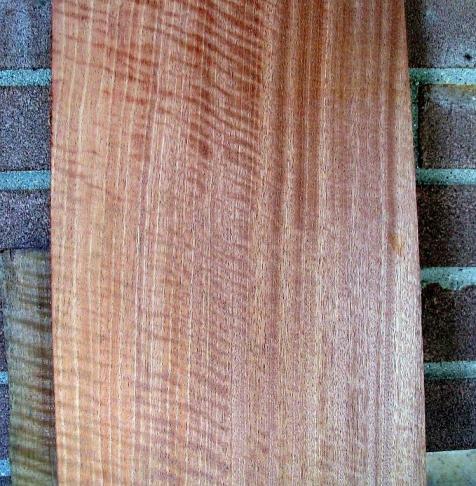 And last but not least some Curly Cherry with wide curl. Nothing magnificent but beautiful none the less. I prefer finding thick timber. I get more book matched sets and less waste than I do resawing 4/4 or 5/4 but I take what I can get. I have been writing this post primarily to avoid cleaning the shop this morning so I’d best get to work! Lutherie – How it starts.